Bot Azure service byMicrosoft Bot frameworkProvide support and build onAzure functionServer based computing background. The Bot service allows developers to create dialogue applications, and it is embedded in many popular chat applications, including Slack, Facebook Messenger, Skype Microsoft, Teams, Kik and Office 365 etc.. It also supports text and SMS messaging services, and can be embedded in the client's own website. For software developers, creating a dialog service requires us to change the way we design and build software. Facts have proved that it is quite difficult to do this. For the dialogue, its own characteristics determine the fixed and sudden conversion theme is normal. Mobile applications are well suited to the use of existing, but not suitable for new. The problem with applications is that users have to install them on their phones. In reality, people will only use five or more applications on their mobile phones for a number of times. As a developer, the development of cross platform application software is very painful. The task is very heavy. The great thing about Bot is that once you create it, it's everywhere. It makes your life easier. Most people spend most of their time on chat applications when they hold their phones. So when people are using their chat applications, they can request information from the Bot service. When developers actually want to spend time in the development of robot real dialogue, most developers are caught in a quagmire of 80% of the time, they will be trying to dialogue robot their connection to a variety of services. 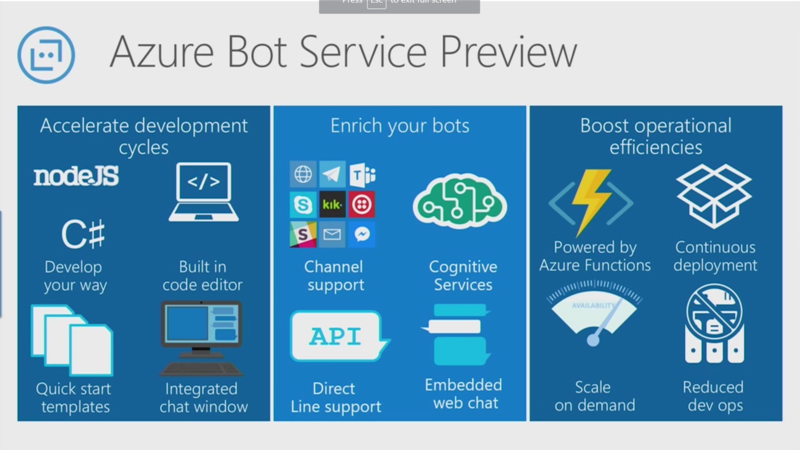 Microsoft's Bot-as-a-Service platform is designed to simplify the developer experience. In order to speed up the development process, Microsoft also provides sample code, Visual Studio and Visual Code support, template and an integrated chat window, before publishing the Bot to the Azure in your line, advanced local test. Once your Bot has been released to the Azure, it can be extended by the functionality provided by Azure. With the support of Git and Visual Online Studio, you can also support continuous deployment. Microsoft supports integration into third channels, as well as Microsoft's cognitive services and other API. 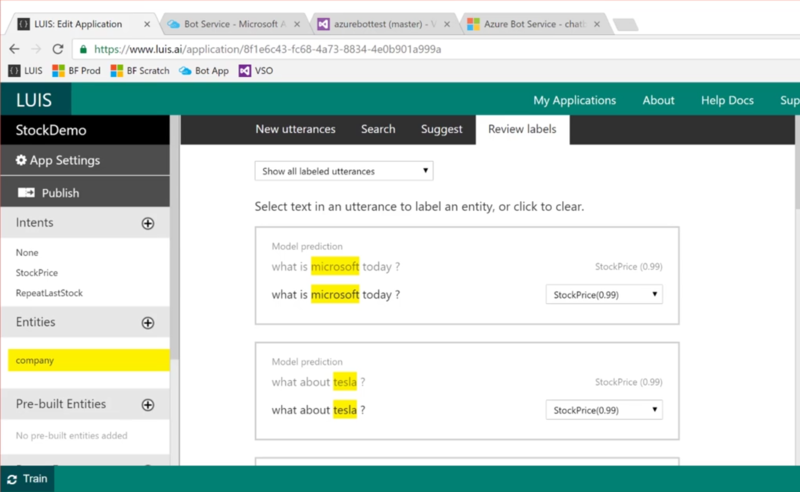 Through the combination of cognitive services, developers can take advantage of Microsoft in the accumulation of Natural Language Processing to carry out key phrase detection, sentiment analysis, language testing or subject detection. Developers can also create a language understanding intelligence service (Language Understanding Intelligent Service, LUIS) model. This model supports context aware, as well as self learning dialogue within Bot. Here's a language understandingExample. Microsoft has talked about this example, is about a stock quotes can be found in the chat application. Although returns a result according to the stock quotes encoding fixed, build such an application is not very challenging, but if the user side is a free text input box, then this is not the same thing. The use of LUIS (language understanding intelligent service model), developers can train machine learning algorithm, let it understand to ask all kinds of questions of expression of stock price difference. This is accomplished by the intent and entity defined in the LUIS console. Developers can then train and test them before they can provide their own model to a Bot application. When developers use the services provided by Azure Bot-as-a-Service, they only pay for the cost of the resources consumed by the application. This includes calculations related to the Azure function, as well as the API call made by the Bot for any cognitive service. 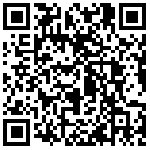 Can inHereFind more information about pricing. Why Microsoft Bot gamble in the future?